See Academic Calendar for annual Event dates. Held each year in the first week of school in August. The Back to School Picnic provides the opportunity for you to meet and welcome new parents, old friends and faculty, staff and Board members. Each family brings their own picnic dinner and blanket. Beverages are provided. 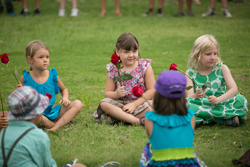 On the first day of school each year in August, we welcome the incoming first grade class with a Rose Ceremony. The whole school joins together as the kindergarten teachers lead the students onto the campus to greet their new Grade 1 teacher with a handshake, and to receive a rose from the incoming eighth graders. On the last day of school, the eighth grade class tours through the school, giving roses to the teachers and the administration who have helped them along their journey. 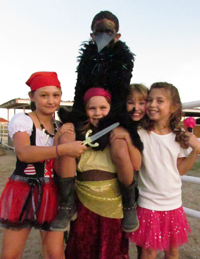 Like many Waldorf schools around the world, the Tucson Waldorf School traditionally celebrates the festival of Michaelmas on September 29. The day is filled with strong imagery such as a fiery dragon being conquered by the heavenly hero St. Michael. 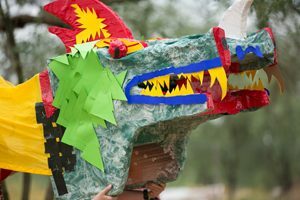 The children dress in costumes, enjoy games of courage and strength, join their voices in verse and song, eat dragon bread and drink dragon juice. The Grades students perform a play, with each grade having a different role. The Early Childhood students celebrate Michaelmas in class. The purpose of this festival is to celebrate human will, inner strength, courage and initiative. The Harvest Festival is an event that is highly revered by both children of all ages and parents alike. Live music, homemade breads and soups (creating an impressive potluck spread), a warm fire, dancing and costumes are regular features of this event. The Early Childhood faculty carefully craft the highly anticipated Protected Path (for children in first grade, kindergarten and nursery). The Protected Path is inspired by a fairy tale that changes each year. Parent volunteers organize the Quest Path for children in Grades 2 and up. 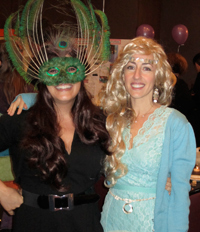 This event is a safe place for the children to dress up and have fun during evening hours. Homemade costumes are encouraged and appreciated. Each November we celebrate Martinmas, the festival of inner light in the outer darkness of the approaching winter. Celebrating Martinmas serves as a reminder that each of us has a divine spark that we must ferry out into the world and share with others. St Martin was a soldier in Rome in the 4th century. Legend says that one wintry night, he met a poor beggar, half-naked and freezing. Martin removed the heavy military cloak from his shoulders and, drawing his sword, cut it in two, and gave half to the beggar. Martin became the patron saint of beggars, drunks and outcasts, dedicating his life to assisting pariahs. The children hear the story of St. Martin, sing songs, and as night falls, they carry their handmade lanterns and walking the magical path lit with luminarias. This festival is celebrated together by the Early Childhood and early Grades classes. As part of the celebration of Martinmas, the TWS community organizes a charitable collection of winter clothing and blankets for local shelters each year. This is a festival that Early Childhood and Grades students share at the beginning of December, the Advent season. For the Early Childhood students, the Advent Spiral is one of the most beautiful and memorable festivals of the season. In a semi-darkened room, lit only by candles and smelling of evergreens, each child goes, one at a time, through the spiral built of evergreen branches to the center of the spiral. 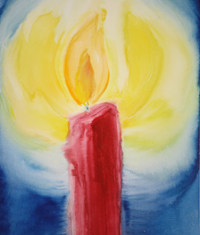 Each child lights his or her candle, then places it somewhere on the pathway to light the way for the next child. It is a reminder of the journey inward each of us must make during the dark days ahead. Advent is carried in the Grades classes through assemblies each week leading up to the winter break. The students gather on each campus every Monday during the Advent season to sing songs, bring offerings for our Advent Nature Table, and hear a story told by one of the teachers related to the theme of the week. From the realm of the minerals in the first week, we turn to the plants, then animals, and finally arrive at the human being in our last assembly before the break. We celebrate the inner light that is found on Earth and in all living things as we recognize the gifts each of these realms contributes to the whole. This annual event takes place each year on the first Saturday in December and is open to the public. There are handmade Waldorf crafts and supplies, culinary offerings from River Road Gardens and local restaurants, activities for children of all ages, ongoing performances, vendor booths with handmade goods for holiday gifts, and demonstrations of spinning wool, woodworking, metalworking, and throwing clay (pottery). 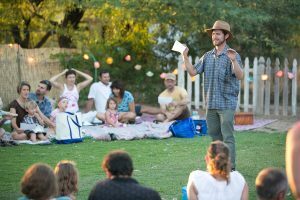 Each spring in March/April the Tucson Waldorf School holds its most significant fundraiser of the year, Fresh!, to support the Waldorf Fund (supporting your teacher’s salary). 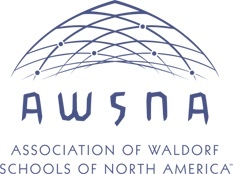 The Silent Auction is an adult-only dinner event celebrating community and Waldorf education. In ancient traditions, the lovely festival of May Day marks what is considered the first day of summer in Celtic lands, and also is connected to Flora, the Roman goddess of spring. A Maypole is another wonderful tradition and is a representation of the tree of life. Typically, there is a large Maypole with flowers on the top and ribbons hanging from it to weave in and out with skipping songs and dances. We all join hands and hearts around the Maypole to rejoice in all of life’s awakenings while we embrace the oncoming warmth and shimmering brilliance of summer! The children make crowns with flowers and finger knitting. Families come, lay blankets down and join others to share picnics.